Orange County Mayor Teresa Jacobs recently joined the arts and cultural community for the debut of the Orlando Philharmonic Orchestra’s new Music Director Eric Jacobsen at the Bob Carr Theatre. Jacobsen joined the Orlando Philharmonic this spring after a rigorous two year search. Jacobsen is a conductor and cellist from New York whose long list of credentials includes being the co-founder of a string quartet entitled Brooklyn Rider, and a critically acclaimed orchestra dubbed The Knights. In addition to a stunning performance of the Star Spangled Banner, Jacobsen’s debut concert’s featured orchestral music from composers Beethoven and Ravel, the world-premiere of a composition for string orchestra by Gabriel Kahane, and featured acclaimed pianist Joyce Yang performing Tchaikovsky. According to the Orlando Sentinel’s review of the triumphant debut performance, “Where he takes the organization is yet to be written, but things are off to a powerfully strong start,” Matthew J. Palm said in his Orlando Sentinel review. The Orlando Philharmonic Orchestra includes accomplished musicians who were recruited from all over the world, and started its musical journey in 1993, making this year its 23rd season. The Orlando Philharmonic’s Director of Communications Emily Lindahl said the orchestra is a vital part of Orange County. “The Philharmonic performs over 125 concerts each year for Central Florida residents and visitors alike, including over 50,000 Orange County Public School students who attend the orchestra’s Young People’s Concerts,” Lindahl said. Lindahl said the orchestra’s Young People’s Concerts (YPC) introduce classical music to young students, and are attended by every Orange County student in third through fifth grade, including private and home school groups, making the YPC crucial to Orange County’s musical youth. Orange County Arts and Cultural Affairs Director Terry Olson said the County has invested close to $50 million in more than 50 arts organizations since the creation of the Arts and Cultural Affairs program in 2001. Orange County’s Sustainability Plan, “Our Home for Life,” is the result of Mayor Jacobs’ Sustainability Initiative, which began in 2013 as an effort to plan for future population growth in a way that enhances the quality of life for current and future generations. The plan outlines specific incremental and transformative changes for the County through 2040, leading towards a more prosperous, healthy, livable, and connected community. 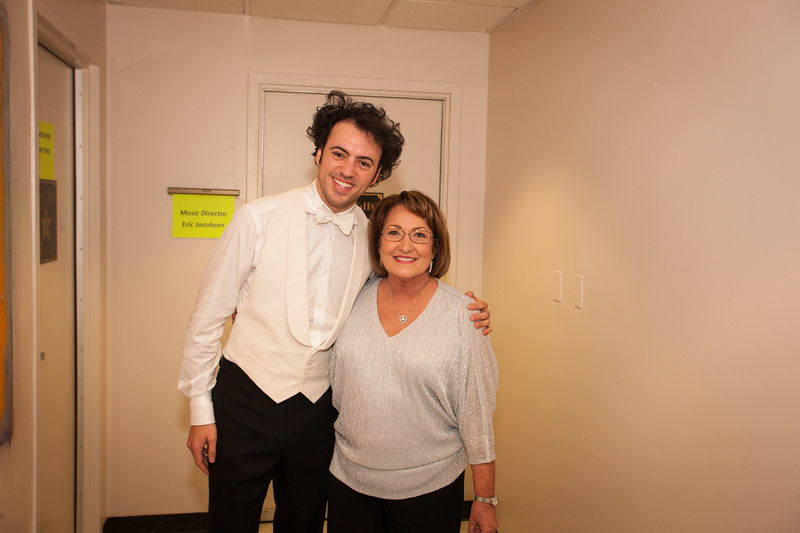 Photos from the Orlando Philharmonic Orchestra event may be found on Mayor Jacobs’ Flickr.